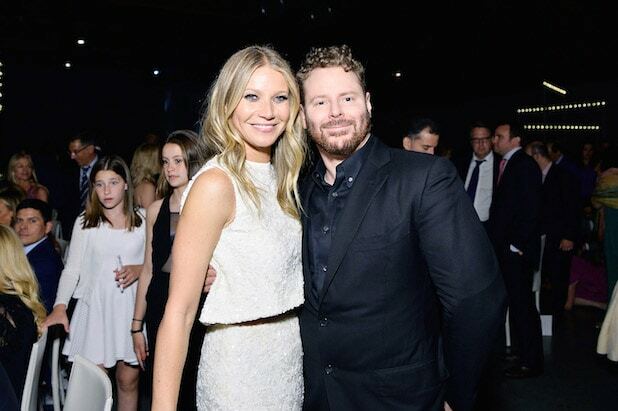 “On a good day, I cannot understand my friend, Sean Parker, what the f--k he is talking about,” Gwyneth Paltrow said of her fellow honoree at the UCLA Mattel Children's Hospital Kaleidoscope 5 Gala in Culver City. 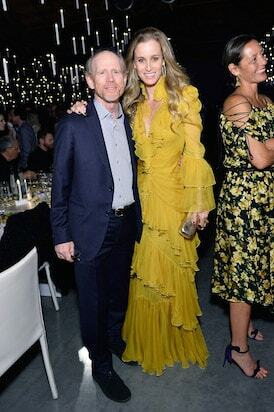 “But after two tequilas, I was totally lost,” Paltrow joked, after the Napster and Facebook entrepreneur spoke of immunotherapy treatments and the fight against cancer. “I don’t have your brains — or definitely not your money — but I’m here tonight for UCLA and the doctors who work so tirelessly to try to help the quality of life and bring health and healing to our children,” the Oscar winner said. Consciously recoupling? Chris Martin appeared at the event, performing George Michael and Ed Sheeran songs on top of Coldplay favorites. Ron Howard and Michelle Merkin were amongst the 750 philanthropists that included Angie Everhart, Jaime King, and Chris Martin. 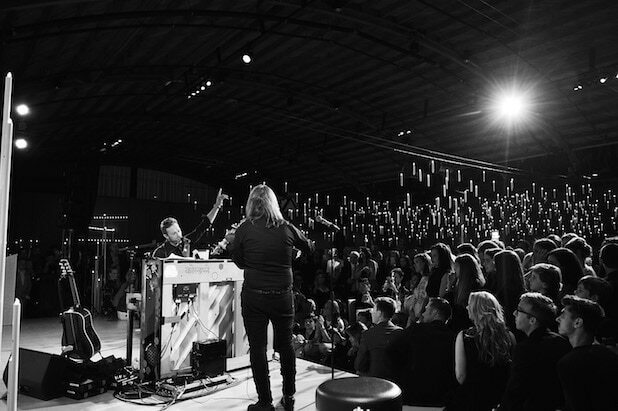 The night raised $2.35 million. The children's hospital recruited premiere creative designer Marc Friedland. "The concept of incorporating some of the most intriguing and engaging light installations was to provide guests with a playful yet sophisticated experience," Friedland told TheWrap. "We wanted the evening to celebrate the spirit of 'discovery' and 'innovation' that is embodied by the UCLA Children’s Discovery and Innovation Institute." Armie Hammer (center, with wife Elizabeth Chambers and photographer Gray Malin) helped christen a $30 million West Hollywood Hills home completed hours before an intimate Hennessy X.O. dinner party on Wednesday night (May 10). Inside the cliffside spread by architect Paul McClean. Curbed L.A. calls McClean "The New King of L.A. Megamansion Design". DJ Nikki Pennie spun during the dinner. Tracy Morgan, Jesse Eisenberg, and Larry David were amongst the notables venturing far outside the Hollywood network for the parties surrounding the Kentucky Derby. Newly-retired quarterback Tony Romo and Tom Brady buddied up at the Fillies and Stallions party, where the Patron flowed freely. Brady's offensive teammates Julian Edelman and Danny Amendola were on the scene. Brady has become a regular at the Derby in recent years, notably flying from the track to Vegas for the famed Pacquiao-Mayweather flight on the same day two years ago. May is a great month for NFL off-season festivities. Aaron Rodgers hit the Barnstable Brown Gala presented by G.H. Mumm. Bravo's "Vanderpump Rules" kids are in a perennial off-season, traditionally registering on the low end of "celebrity" talent everywhere except Kentucky. Katie Couric - legit starpower at the Derby. Snoop Dogg headlined Jazz Fest in New Orelans on Saturday evening (May 6) opposite Meghan Trainor and Stevie Wonder. A few songs in, he dropped his leather jacket and lit up what a local paper described as a "thin cigar". Less than 24 hours later, the Dogg Father was back in his native Southern California, appearing with his TV co-star Martha Stewart at MTV's Movie and TV Awards at The Shrine. "Moonlight" meets Aoki: Jharrel Jerome and Ashton Sanders flanked the music mogul backstage. The versatile label chief, who has hits out now with both 2 Chainz and Louis Tomlinson of One Direction, was the saving grace for spinning at the traditionally faint after party. It's rare that the musical talent at an awards show after party is exponentially more relevant than the show's host (here, Adam Devine), so we congratulate MTV on this innovation. More MTV: The Exposition Hall's other annual awards moment is the SAG Awards. Here, MTV sponsor and advertiser Toyota used the event as a platform to showcase their C-HR vehicle amidst a "modern fairytales" theme. Buffalo, New York native Grabbitz could be next up behind Aoki. The rock-leaning EDM artist recently invited about 40 industry ears in to a North Hollywood recording studio for a first listen to his first full length album. This was Grabbitz's first ever performance with a live band. He's previously remixed a Deadmau5 track, which led to his slot as the lone featured vocalist ("Let Go") on the dance legend's most recent album. The crowd demanded - and received - two encores. He owned his unique tilt towards 90's grunge rock in a plaid and black jeans, rocking in a loud trio (think: Green Day, Nirvana) and swigging Jack Daniels mid-song. A cake featured the young composer/producer/singer's face. His album drops May 19.